About 52 percent of all Copenhageners commute by bike on a daily basis. Copenhagen has become world famous for its biking culture and today many cities are trying to copy the Danish biking heaven concept. In Denmark, as in other countries, there is a desire to improve public health and combat climate change. In the capital and several other Danish cities this has led to an intensified effort to maintain and strengthen cycling culture. But the Danish love affair with the bicycle is an old infatuation. 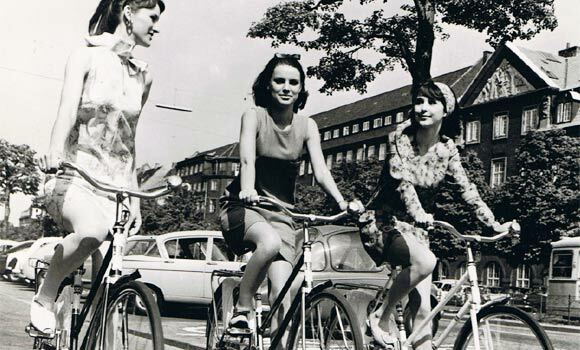 Read Lotte Ruby’s great article on how Denmark became a cycling nation and learn more about how the bicycle in Denmark became the transport for all social classes and a symbol of freedom. If you are just as eager as we are to find out more about sustainability, then check out The Danish Architecture Centre’s database Sustainable Cities or their new exhibition Behind the Green Door.